Fuse Washington, the state's largest progressive organization, issued a statement Tuesday criticizing the congresswoman for having Nunes be her guest. 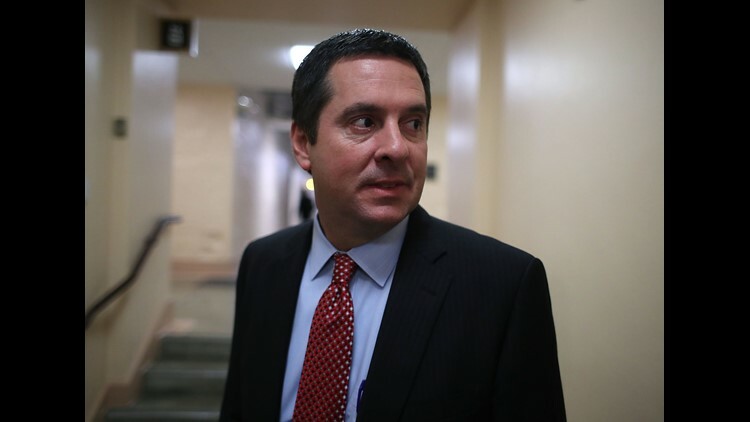 SPOKANE, Wash.—Republican Chair of the House Intelligence Committee Devin Nunes will be attending a fundraiser of Congresswoman Cathy McMorris Rodgers on Monday, her office confirmed. The lunch is being held at the Spokane Club at noon. There has been some outrage online about the congresswoman inviting the representative to Spokane. Fuse Washington, the state’s largest progressive organization, issued a statement Tuesday criticizing the congresswoman for having Nunes be her guest. Nunes is a controversial figure in the congressional investigations of Russian meddling in U.S Elections and is viewed by Democrats as someone who has ignored evidence of the Trump campaign's ties to the Kremlin in order to protect President Trump, USA Today reported. He has also said he believes certain members of the press work for the Democratic Party. Nunes sent out a statement Tuesday afternoon explaining his support for McMorris Rodgers. "Cathy is a key conservative voice for her constituents at the leadership table, and she represents the best in our party. We all need to support Cathy. That's why I'm making this special trip to Eastern Washington to help ensure my friend Cathy McMorris Rodgers gets re-elected to Congress," Nunes said.